Kevin Baker as born in August 1958, in Englewood, New Jersey, and grew up in Rockport, Massachusetts, a small town on the North Shore. He graduated from Columbia University in New York City in 1980, and since then has earned his living as a writer and editor. His first novel, SOMETIMES YOU SEE IT COMING, based loosely on the life of Ty Cobb, but set in the modern day, was published in hardcover by Crown in 1993 and in paperback by HarperPaperbacks in the spring of 2003. DREAMLAND, part of Baker’s New York‚ City of Fire trilogy was published by HarperCollins in 1999, and in paperback the following year. PARADISE ALLEY was published by HarperCollins in 2002, and the third and final volume of the trilogy, STRIVERS ROW, which was published in February, 2006. Kevin was the chief historical researcher on Harold Evans’ bestselling history, THE AMERICAN CENTURY, published by Knopf in 1999. 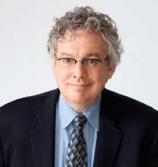 He wrote the monthly “In the News” column for American Heritage magazine from 1998-2007, and has been published in The New York Times, The Washington Post, The Chicago Tribune, The Los Angeles Times, The Frankfurter Rundschau, Harper’s magazine, Talk, and The Industry Standard, among other publications. A novel breathtaking in its scope and ambition, this is the epic saga of newcomers drawn to the promise of America—gangsters and laborers, hucksters and politicians, radicals, reformers, murderers, and sideshow oddities—whose stories of love, revenge, and tragedy interweave and shine in the artificial electric dazzle of a wondrous place called Dreamland.